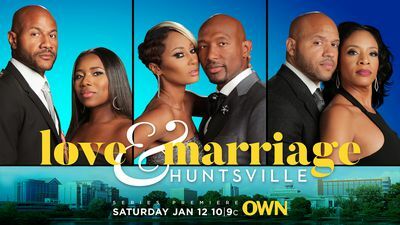 “Love & Marriage: Huntsville,” previously under the working title Rocket City Revival, follows the lives of three successful and powerful African American couples in the thriving city of Huntsville, Alabama who come together to help revitalize the region through their joint real estate venture – The Comeback Group. The eight-episode series will feature Melody and Martell Holt, Marsau and LaTisha Scott and soon-to-be-married duo, Maurice Scott and Kimmi Grant. The triad are longtime friends whose goals are to put Huntsville back on the map but must navigate through the realities of dealing with love and marriage while attempting to focus on making this huge undertaking a success. There will be plenty of laughs, tears and even a wedding, as the group tries to balance their careers, families and social lives and attempt to transform both the city and their relationships to achieve their ultimate dreams.